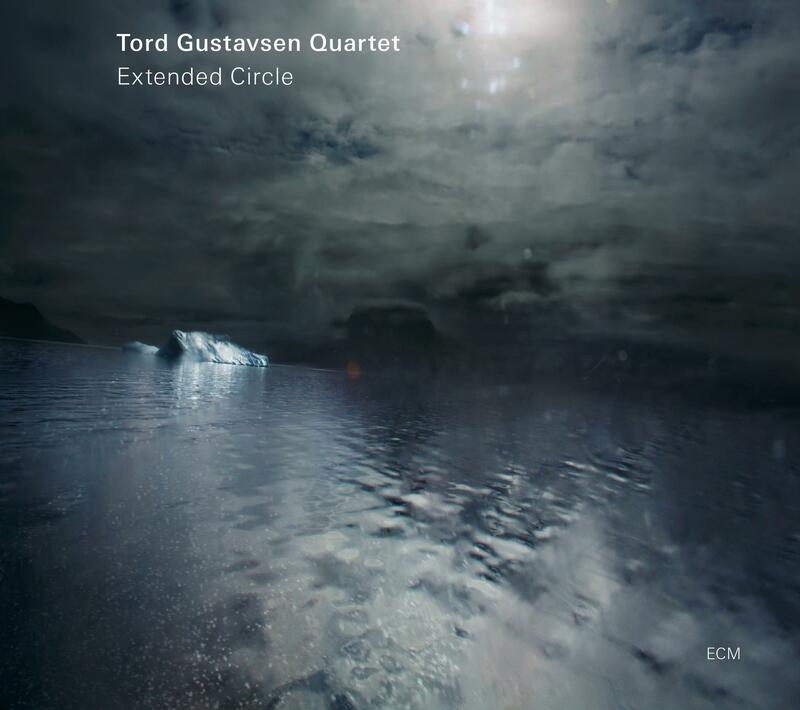 Following the success of three earlier ECM recordings and reeling from the death of bassist Harald Johnsen, Norwegian pianist Tord Gustavsen decided to pursue other sources of light. Here his trio is relit, carrying over the torch of drummer Jarle Vespestad and adding the new flame of bassist Sigurd Hole for a veritable candelabrum of poetic originals, folk songs and church music. 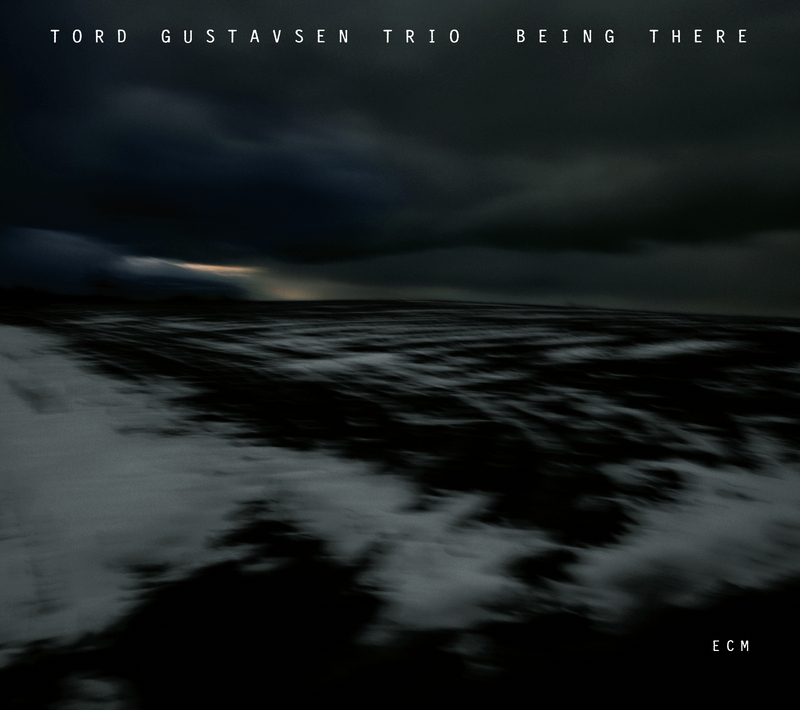 Although 11 years separates this from the last trio session, Gustavsen’s self-styled approach of “radical listening” is more vibrant than ever—a mood only confirmed by the crispness of this album’s engineering and the humbling interactions it documents. Like a prism, colors change throughout The Other Side as a matter of perspective. Upon first listen, I find myself drawn to an anthemic subtlety such as only Gustavsen can articulate. It’s all there in the inaugural “The Tunnel,” which feels like a slow-motion flashback into the deepest corners of my happiest memories. A slight change of angle highlights the band’s newest member. Hole is an intrepidly lyrical bassist whose approach to folk tunes and hymns alike reveals a buoyant physicality of execution. His spirited contributions to folklorist Ludvig Mathias Lindeman’s “Kirken, den er et gammelt hus,” for instance, reveal a heart rooted deeply in tradition. His arco whispers in “Duality” and “Taste and See,” both of which float on softest beds of electronics, are haunting and precise and the continuity of his playing in “Re-Melt” is nothing short of romantic. Another shift brings out the deeper hues of three Bach chorales, lovingly arranged in dramatic braids. Of these, “Schlafes Bruder” teases out great joy from solemn hymnody and frames butterfly-winged drumming. The piano solo “Left Over Lullaby No. 4” is yet another band of a spectrum that speaks for itself and, like the title track and the concluding “Curves,” has a classic feel that beckons us into Gustavsen’s back catalogue. All of which yields a life-affirming record and a profound leap of faith for one of ECM’s most indelible trios. Welcome home. 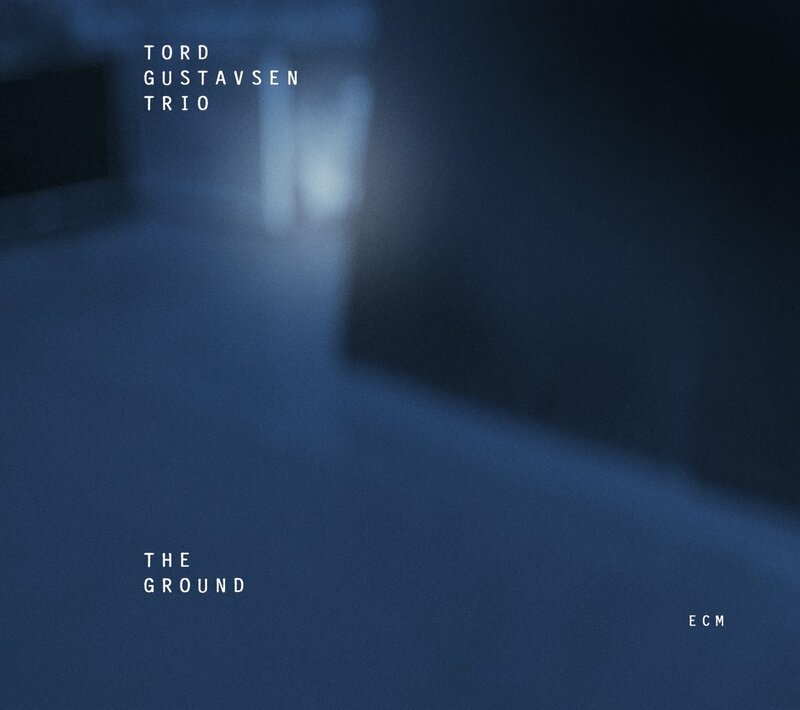 Norwegian pianist Tord Gustavsen’s sixth ECM album concludes his second trilogy for the label, this in a quartet setting with saxophonist Tore Brunborg on tenor, bassist Mats Eilertsen, and drummer Jarle Vespestad. Gustavsen’s—and producer Manfred Eicher’s—sense of timing and sequence is more crystalline than ever, yielding a crossroads of melody and circumstance that will be at once familiar and progressive to seasoned listeners. “Right There” bids gentle welcome in trio, Eiltersen’s melodic tracery standing out early on for its unforced hand. It’s a fitting introduction to one of Gustavsen’s most indistinctly distinct efforts to date, ending as it does with a question answered by the 11 tracks that follow. The Norwegian hymn “Eg Veit I Himmerik Ei Borg” (A Castle in Heaven) adds Brunborg’s tenor into the mix, one voice capping a rising tide of them. Vespestad’s underlying propulsions emphasize the theme’s airiness with their scuffling groove. “Entrance” is a free improvisation based on elements that have previously caught the band’s working orbit. Brunborg and Gustavsen work off each other’s nerve impulses down a spinal helix. And in a variation of the same track, Eilertsen provides a tactile foundation for the divine considerations therein, allowing Brunborg to unchain himself from the congregation. “The Gift” and the album’s remaining tunes embody everything that makes Gustavsen’s writing exactly that: an offering to those who would listen without prejudice. This is a characteristically slow-motion spelunk for the trio, who as a unit express what only individuals in harmony can. With a touch worthy of an archaeologist, Gustavsen and his bandmates unearth one geode after another but leave them unbroken, so that their inner jewels become the subject of contemplation rather than of material obsession. “Staying There” evokes the title of the trio’s Being There, preaching but also practicing a gradation of continuity between projects, eras, and spaces of development. Brunborg’s melodizing, in combination with the rhythm section’s oceanic support and Gustavsen’s tidal comping, gives depth of voice to the music’s heartland. “Silent Spaces” is one of two solos. This one is from Gustavsen and calculates an inter-dimensional telemetry, whereby distances are measured by angles between notes, by that which remains unsung. Eilertsen’s solo “Bass Transition” is likewise a ladder disappearing into cloudy sky. “Devotion” rearranges a choral piece Gustavsen was commissioned to write in a liturgical context. In its present form, the music sings by inhaling. More of the trio’s classic dynamics bleed through in “The Embrace,” expanded by the soulful gilding of Brunborg’s bell. But even this one—and this is the magic of Gustavsen’s art—has sacred overtones, stemming from a faith in the sounds. That said, the full quartet achieves a unique balance of structure and substance in “Glow,” across which each musician glides like the blade of a skate on a frozen pond: their coming together produces only the smoothest pathways of travel. All of which leaves “The Prodigal Song.” This bittersweet letter draws its signature in forest ink and proves yet again that Gustavsen ends every album by extending another circle into the unknown. For just when you think it couldn’t get any more beautiful, it swings around and taps you on the shoulder. 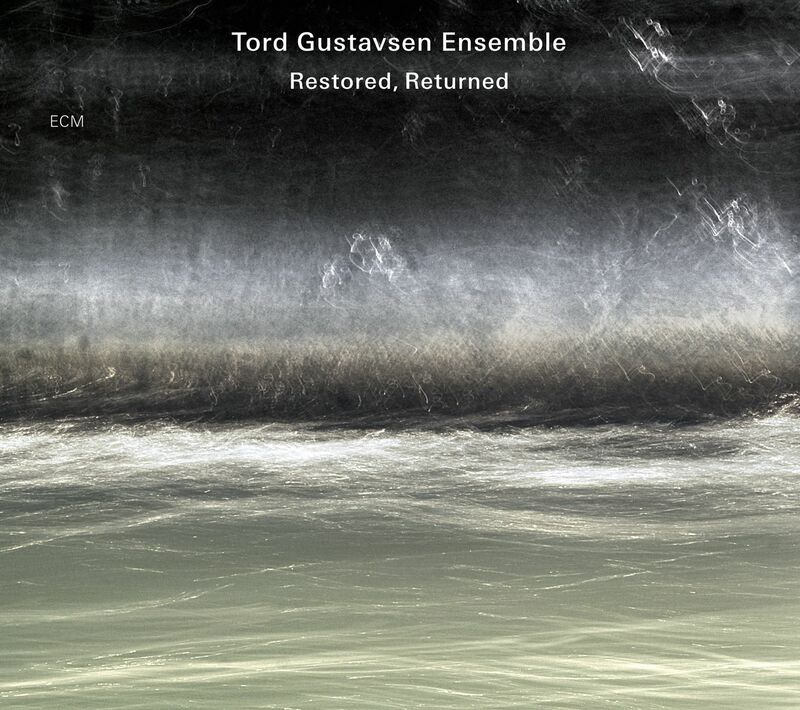 Norwegian pianist Tord Gustavsen, who prior to Restored, Returned released three of ECM’s most beloved trio albums, now adds to that tapestry the lyrical threads of saxophonist Tore Brunborg and, in her first appearance on the label, vocalist Kristin Asbjørnsen. Gustavsen, who additionally switches out bassist Harald Johnsen for Mats Eilertsen and holds on to drummer Jarle Vespestad, styles the album as a “collection of cherished memories” rather than as a unified whole and consequently backgrounds himself a little in order to let his collaborators glow unobstructed. Although a fascinating addition to the Gustavsen nexus, Asbjørnsen’s rendering of poetry by W. H. Auden may guide listeners down forking paths. Her tone is closest to Sweden’s Karin Dreijer Andersson (best known for her associations with Röyksopp): which is to say, an enchanting mixture of childlike vulnerability and strength beyond her years. With the very balance of clarity and mystery that Gustavsen attributes to Auden’s verses, Asbjørnsen engenders a chain of invitations to higher understandings of the same. Which is perhaps why the album more frequently concerns itself with wordless poetries in the form of intimate cradlesongs. Some, such as the three so-called “Left Over Lullabies,” are more obviously of this kind. In them, Asbjørnsen emerges gently, organically, gathering nebulous strands into themes, which Brunborg then unpacks in riverbed flow. In these instances, Asbjørnsen’s grammar is entrancing and works best when she adlibs with Gustavsen alone, crafting melody out of her own stardust rather than ink on the page. Other lullabies—namely, “The Child Within,” “Spiral Song,” and “The Gaze”—have reeds in mind. In all three, the piano spins a cocoon of introduction, letting Brunborg’s motives break wing of their own accord. The surrounding songs dip forthrightly into the poetic font. Whether in the gospelly “Lay Your Sleeping Head, My Love,” the folkish diptych of “The Swirl / Wrapped In A Yielding Air,” or the fully developed “Your Crooked Heart,” Asbjørnsen’s throaty delivery feels grounded in love at every moment. She embraces daybreak through Auden’s words, touched by supporting musicianship that finds power not in strength but nuance of force, a force by which the expressive minutiae of experience drink sun without fear of cloud. The title track is likewise a stirring of photosynthetic impulses, growing by a season that abides by its own philosophy of recovery. For those new to Gustavsen, start at Changing Places and work your way here. Like the fully improvised instrumental “Way In,” his art builds doorways of entry one cell at a time, so that by the time the full body is born, we are already a part of it. The songs may indeed be isolated, but they also yearn for continuity with past and future voices, holding scriptures on the tongue for grace of unity. This journey is far from over. 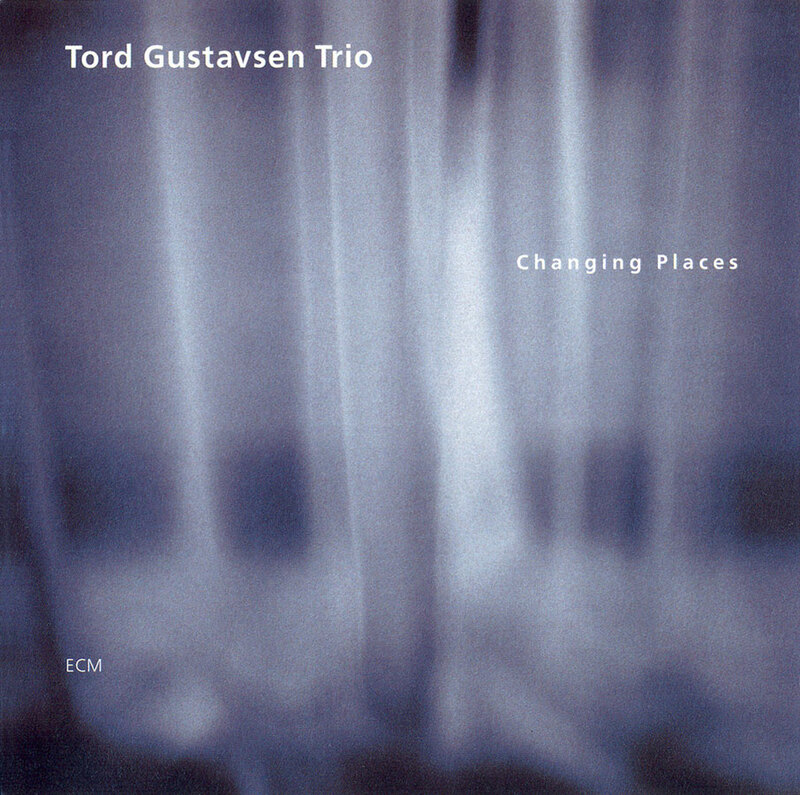 There’s no mistaking a Tord Gustavsen Trio record. Intimate in measure yet profound in scope, each builds on the last like another level of a pyramid built from the capstone down. In this manner Being There follows Changing Places and The Ground as the last of a trilogy, though it is by no means the be all and end all of the trio’s capabilities. There’s so much to admire on Being There that one could see its vessel off contentedly were it never to return to shore. If the album’s title sounds familiar, that’s because it comes by way of a tune off The Ground. But this baker’s dozen casts two forward glances for every backward, always moving toward the goal of utter respect: for the notecraft, for the sound, for the moment. Those who subscribe to the stereotype of contemplative Nordic jazz will be both rewarded and pleasantly surprised. On the one hand, there is “At Home,” which begins the album, as it has often done for the trio’s stage sets, with honed lyric intensity and lullaby charm. The brushed ruminations of Gustavsen’s bandmates—bassist Harald Johnsen and drummer Jarle Vespestad—buoy the pianist on inky currents. The downtempo mood holds true for much of the album’s hymnody, taking fullest (which is to say, spacious) form in the anthemic “Still There” and the veiled “Vesper.” With barest touch but also viable emotional weight, the trio moves further through the balladic changes of “Around You” and “Draw Near” with an embrace so warm that three become one. Each is a profession of faith in love through love of faith, drifting a hair’s breadth from the divine in “Sani.” This duet for piano and drums describes a blown feather. Free of wing in its own dream of flight, it wanders along a quiet storm’s path. These slower songs take full advantage of the acoustics, both live and post-processed, and build to a density of expression that nevertheless allows room to breathe. It’s as if the trio explores knots in wood, each a galaxy waiting to be sung. In them Gustavsen paints flowering worlds with every keystroke, as he does especially in the melodic orbit of “Karmosin” (penned by Johnsen and the only track not by the pianist) and the solo improvised “Interlude.” The latter is the modal hip at which the album flexes. Poetry flows from its deference, clear as sunlight on a river, across a brittle page, which is then folded, sealed, and held above a burning candle. While much of the album is suited to closed-eye listening, there are a few breaks in the waves. Between the swooping wingspan of “Vicar Street” and the uplifting “Where We Went,” there is “Blessed Feet,” a masterful and obvious nod to Keith Jarrett. This swinging number proves Gustavsen a magician at the keyboard, by which he, ever the melodic herdsman, corrals every note in formation. Even the lethargic clouds of “Cocoon” abide by structural principles, at once conscious and free. Yet it is on the waters of “Wide Open” that the trio finds what it’s been looking for: a step into the future, as yet unknown, with eyes fixed on the horizon. Where the album opened at home, here it ends with a homecoming. And it is in your home that this music belongs, right there on the shelf next to your most prized discs. Norwegian pianist Tord Gustavsen has forged one of the true concept outfits of modern jazz. In the two years since his ECM debut, he, along with bassist Harald Johnsen and drummer Jarle Vespestad, has looked behind the Scandinavian mirror into the roots that feed his spectrum. Navigating a growing network of original tunes, the trio comes into its own on The Ground, a timeless sophomore effort that implies many peripheral constellations even as it brightens the stars of its own. In a press release interview, Gustavsen has noted the “hymnal” qualities of his music, which over many months of touring have taken on a collective purpose of their own. The end effect seamlessly combines the shape-shifting of opener “Tears Transforming,” which drifts freely between major and minor keys in a balancing act of inner peace, and the title track, which is the longest of the album yet is somehow also the most concise, for it indulges in the pathos of reflection with all the starry-eyed wonder of childhood. Both braid chains of circles and spirals, taking on fresh dustings of pollen, as if the scents of a thousand fields were mingling as one. This is the eponymous ground, where all fertile songs are born. Johnsen and Vespestad are sidemen only insofar as they complete a triangle to which every side gains integral purchase. Melodically speaking, bassist and drummer contribute just as much color as Gustavsen in “Being There.” As also in its companion track, “Twins,” the musicians take obvious comfort in those nearly imperceptible moments that redefine us with every breath. Although Gustavsen’s status as leader is more than nominal (all the melodies are his) he tugs ever so gently at the reins to shape the flow at given moments. If anyone, it is Johnsen whose tread presses freshest into the soil, leaving Vespestad to brush away the traces, lest their path be followed. Among its many virtues, The Ground includes such quintessential turns as “Colours of Mercy” and “Token of Tango.” Both play to the band’s blending strengths, while also giving just dues to the blues. Their encroaching sense of nostalgia only deepens as the album’s context grows. In this regard, the two-minute solo piano “Interlude” adds a touch of cabaret, while the dance-like “Curtains Aside”—with its rolling snare, lumbering bass, and bright pianism—breaks the fourth wall between artist and audience. Above all, The Ground proves once again that Gustavsen’s trio is most assured at its tenderest moments. “Sentiment” and “Edges of Happiness” are but two examples. Each evolves from simple stirrings to windswept reverie, holding its peak only briefly. The lull is grand ruler. And just when you think the trio couldn’t get any gentler, they emit a signal like “Reach Out and Touch It,” and with it the realization that sometimes the most profound epiphanies are those left alone. Accordingly, this album doesn’t have highlights so much as noteworthy shadows. Like the tune “Kneeling Down,” it offers respect to the art that moves its mind, body, and soul to such sonorous action without needing to proselytize. In the same way that turning a Rubik’s cube offers up endless possibilities yet maintains its shape no matter what schemes its colors take on the surface, The Ground holds true to its geometry even as rainbows ring their way down its skin. A standout achievement for both the musicians involved and the label that has so graciously involved them. The debut of pianist Tord Gustavsen’s all-Norwegian trio was a much-lauded event. Famously trending on the Scandinavian pop charts, this album more importantly trended in many listeners’ hearts, building its tunes—each a monument to subtlety—entirely out of infrastructure. Speaking as they do on the inside, said tunes come to us fully realized. The gossamer curtains on the sleeve give us only half the story. As towers of gaseous flame, their folds belie the chemical properties therein. Yet there is also the scene beyond, waiting for those who dare to brush the curtains aside. Here is where the music’s ambient nature thrives, unlimited and thrumming with purpose. Still, with so much pathos to be savored, it’s no wonder that the band’s strongest tunes should also be its gentlest. 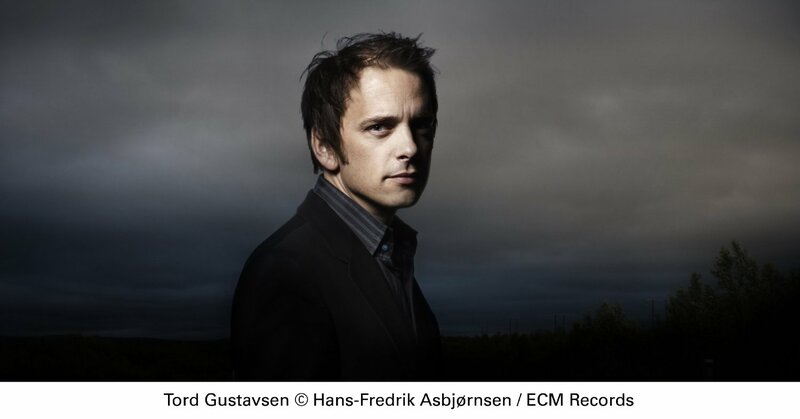 From the expansive (“Melted Matter”) to the intimate (Gustavsen’s solo “Interlude”), melodies impose themselves with the force of windblown grass. Solos likewise emerge with such ease that one almost doesn’t notice their crocodilian eyes peeking above the surface. The democratic integrity of “Where Breathing Starts,” for instance, is such that no single instrument can be separated from the others. Johnsen’s depth-soundings proceed robustly here against Gustavsen’s splashes of anthemic color, Vespestad keeping the frame intact all the while. The magic of Gustavsen’s trio thrives not only in its forward thinking, but also in its nods to bygone days. Hence, the classic sheen of “Your Eyes.” Also resonant in this regard is “Song of Yearning,” which expresses its titular emotion by way of Johnsen’s curlicues. Noteworthy is the simple yet profound drift into the major that sets up Gustavsen’s commentary, recapitulated in this tune’s solo version that steeps the album’s final minutes in the color of prayer. In the case of Changing Places, one can just as easily hear how much ECM has informed its landscape as how it has informed ECM’s in return. Every motif finds a place to call home and, like the title of “At a Glance,” turns the fleeting into the robustly proportioned. I hesitate to call an album perfect, but no other adjective will do.